Knowing what to expect and what you need to do when you have a major claim like a disaster will make a big difference in how quickly you get paid and back on track to your normal lifestyle. Disaster claims are the most stressful types of claims because you are not only under extreme personal stress due to your loss, but a disaster claim like a tornado or hurricane usually involves a large group of people who are suffering similar losses and so the insurance company claims teams can also be short of staff or overloaded. The goal of the insurance policy is to get you back in the position you were in before the loss as quickly as possible. Keeping communication open and up to date with what is required at every step of the way will help the claims process go as quickly as possible. This comprehensive guide will help. The biggest mistake you can make when something goes wrong with your home or personal property is to delay in calling the insurance company. A lot of times people forget that the whole reason you have insurance is to protect and help you. When a claim happens, that's when your insurance professionals are ready to help. Many people don't call because they assume something is not covered, hope that they can fix the problem themselves, or don't want the insurance company involved because they feel like it will be a hassle. Don't make this mistake. Even if you think something may not be covered, you are better off to have on record that you advised your company so that if anything comes up in the future, you've done your part to fulfill the requirement of your insurance contract. To find out what you will get compensated for. If you have a deductible to pay and if the cause of the claim is an insured or covered peril. Your insurance policy contains a clause in which you are agreeing to advise the insurer any time there is a material change in risk or liability risk. Potential damage to your home or others property that is your fault fits this description. Not following the insurance contract puts you at risk of nullifying your insurance. This is the last thing you want to do. Your insurance company has expertise that can help. Sometimes a claim can happen and seem fairly straightforward to you, but the insurance company specializes in disasters and claims and has the expertise of an entire industry behind them to understand the real implications of damage. One example is water damage. Aside from there being several causes of water damage that aren't always clear, even when the cause of damage seems clear there can be additional problems to address. Sometimes people get water damage from a leaking pipe, they clean it up, have a plumber repair it and figure it is all taken care of. Although the plumber is an expert at repairing the leak, they will not consider the amount of water that has leaked into your floor and wall, do humidity tests, or ensure no mold appears. An insurance company will do more than just clean up the spilled water, they will provide an insurance trained professional to assess the situation and give you guidance to help prevent long-term damage. They may even give you tips on how to prevent further damage. Mold is not covered by insurance, so in this example, not having the right advice from the start would cost you thousands of dollars, and may even make it difficult to get insurance later or have your insurance canceled for not doing repairs. Dealing with disasters is really stressful, having your broker or agent, and a claims team helping you will make sure you do not deal with things alone. You pay for insurance, so when you have a claim, this is when you need to get your money's worth. Do not throw anything away. Your insurance company has a right to see the items if you expect to be compensated. For example, water is coming into your home from the roof. Prevent further loss by moving items out of the path of the water. If the water has damaged something, move it out of the way, but do not throw it in the garbage. You are preventing further loss by taking these actions and preventing further damage by moving items out of the way. However, if the situation is dangerous, for example, a tree crashes through your roof, and you see that the tree could cause a roof collapse, it is not reasonable to put your life at risk to try and save a table and chairs. Keep yourself and your family safe, and call for help. If you incur immediate expenses to protect your property, keep the receipts and document everything if you want to get compensated. Emergency expenses may be reimbursed, but non-urgent work and unapproved repairs may not be. The insurance contract provides clauses that as part of the insuring agreement you can not take on work without the insurance company's approval, so be very careful to not make any commitments or hire contractors before having the insurance company weigh in on your actions and approve them. Wind causes a tree to fall and damages property, you call in a crew to take care of the mess and when it's all done you send the bill to the insurance company thinking it will be reimbursed. The insurance company was not given the opportunity to assess the damage, cause of loss, or the work required, therefore they would not likely pay you. If you call them before you take any action, they will take control of the situation and guide you on the steps so that you can get paid. They must always be involved if you expect them to pay the costs. Will the Insurance Pay for Relocation and a Place to Live? If the cause of the loss is covered by your insurance, and your home is made uninhabitable by the loss, then Additional Living Expenses (ALE) coverage, included in your home policy will pay for temporary living expenses that exceed the normally incurred living expenses. What Is Covered by Additional Living Expenses? Additional transportation costs, or anything that is reasonably costing you more money because of the claim. This is a very tricky coverage, so make sure to fully understand how it will be paid. Ask your representative what the limit is for your ALE, and get the approval of the insurance adjuster for long-term accommodations. Be sure you understand how much you will get paid. They will only pay for the actual costs of the loss. Once you call the insurance company they will assign an adjuster to your case and send you a proof of loss form to fill in. You can read more about the proof of loss in point number 5 below. The insurance adjuster is the person who is put in charge of working with you to settle your claim. The insurance adjuster is a professional who is trained in settling losses and assessing damage. They will report what they see to the insurance company, determine what work needs to be done to repair your home, and review your proof of loss items list. Your agent or broker will not be making decisions on what is paid in a claim, the adjuster will. Your insurance agent or broker can help you if you need to understand your coverage better or your policy wording. Your adjuster will look at the actual loss and ultimately, after investigation, will decide the cause and what is covered. Can You Get a Partial Payment Before the Claim Is Settled? The adjuster may be able to grant interim claims payments for partial expenses to help get you on track. Make sure and ask about this, so you know what to expect. You want to make sure to have good communication with the claims adjuster as they can be a source of help and guidance to getting the claim closed quickly. Aside from the damage to your building, you will want to make a claim for all the personal items, and contents in your home that were damaged. This is probably the most daunting task for people in a loss. Having a home inventory filled in, or photos and other records prepared in advance really helps. You can get a free home inventory form to help you do this here. It is not enough to just say you had things, you will need to document and itemize a list (within reason) to "make your claim". Cost at time of purchase (Be careful, if you got the item at a 50 percent off sale, you might want to specify because that item is surely not at 50 percent off at the time of your claim) Speak to your adjuster or insurance representative about these kinds of issues. Condition of the item if applicable. For example, used, new, etc. You should ask your adjuster about this. Replacement Cost if you have this coverage, (see number 8 below) — What it will cost you to replace the item. If you do not have the receipts for the items, you will need to do some research to find out the values so you can make your claim. You can research values of items online by checking store websites, finding comparable items. Even in cases of actual cash value, check online for the same item being sold used. This may help you understand the values. The adjuster will review your list and the values assigned. Will check for any special limits, then compare this with your basis of claims settlement agreement in your contract, explained in point number 8 below. From this, the amount you will get compensated in the claim will be determined. If you feel that something is off and you have evidence based on research, then you should feel free to ask the adjuster about this. In major losses, these lists are extensive and are hard to properly document, pay attention to the details and keep open discussion. Fill in your proof of loss as soon as possible. Until this is filled in and submitted your claim will not be completed. 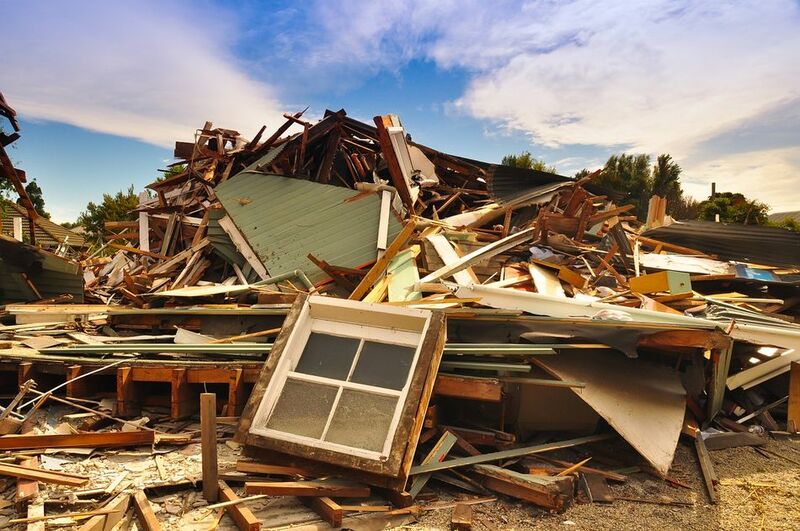 You will want to make sure you find out about any additional costs like by-law coverage that may impact the amount of money you will need to pay for reconstruction, versus how much your insurance company covers. If for example, a new bylaw indicates that your home needs to be rebuilt to new code, and your insurance does not cover by-laws, then you might end up getting stuck with part of the bill. Insurance policies can include by-law coverage. Discuss this with the adjuster if there are concerns. You will likely get several estimates from contractors when trying to repair or rebuild your home. You must have your insurance company approve costs before proceeding to the work or committing to a contractor. This guide from the Insurance Institute is a helpful resource when managing your claim. Every insurance policy contains basic coverage as stated on the insurance declaration page, but then also contains numerous guidelines and clauses within the policy wording about limitations on items of high value and other related items, like cash in the home, landscaping, collectibles, sports equipment, etc. When you have items that your home insurance policy contains limitations for, you may not get paid full value for the lost items, but instead will only get paid up to the policy limit. The policy limits and conditions vary by insurance company, so you will want to find out from your own insurance company exactly what is limited and how this will impact your claim payout. For example, You have a $10,000 watch and $1,500 of cash that was lost in your claim. Your policy has a $5,000 jewelry limit and $500 cash limit. You would want to claim $11,500, but because of the policy limits, you would only get the maximum of the policy limit, which would be $5,500. That's significantly less than you would have been expecting if you didn't know your limits. Keep in mind, when you have items of value that exceed special limits, for many of them, you can schedule the items, or add a rider to the insurance policy before a claim happens and this can make sure you are adequately protected. Your basis of claims settlement outlined in your insurance policy will describe clearly how much money you should get in a claim based on the policy choice you made when you selected your insurance. Claims payouts are usually based on one of 3 possible options. Actual Cash Value gives you a depreciated value in the event of lost items or materials in construction. This is a very dangerous option to select when purchasing your insurance because it will never allow you to replace what you have lost. A disaster claim is the worst time to have a policy with this kind of coverage. Replacement Cost allows for the replacement of items that are not obsolete, or impossible to replace. The terms and conditions of this kind of coverage require you to replace the item before getting the full settlement. This means you may receive half of the amount you need to replace the item, and only get the remainder once you provide the proof it has been replaced. If you choose not to replace, then you get Actual Cash Value. Replacement Cost of rebuilding your home is based on the insured value of the home. In the case of the building insurance, if you have insured your home to value, some insurance companies also offer extended replacement cost coverage if the actual cost of reconstruction exceeds the insured building value amount. Replacement Cost With a Cash Out Option is a higher end insurance option and usually is only available for high valued homes or specialized policies that understandably cost more. Among this type of high-end policy's advantages, the cash out option provides its clients with a lot of flexibility because it is one of the only types of payout that will allow full replacement cash value, with no obligation to replace and the potential of a check in hand. Paying Your Deductible — Does a Deductible Apply in a Disaster Claim? Some insurance companies may waive the deductible in a major loss if the loss exceeds a certain amount of damage. If you do find out you have to pay a deductible, you may have to pay it before work begins on your home. Ask your insurance representative how your deductible will work before a claim, as well as if there is a waiver of the deductible clause in your policy so that you know exactly what to expect. Some insurance companies also allow for one deductible instead of two if you insure your home and car together. This could save you money if both your home and car are insured with the same insurance company and the disaster causes damage to both your home and car. Once you have fulfilled all the requirements and requests from the insurance company, and the adjuster has pulled together all the details of the loss, they will be able to issue a final claims settlement. You will be required to sign the proof of loss which will normally outline the costs that are being paid. Your signature on this document allows the final release of the final claims payment and confirms to the insurance company that you have agreed on your settlement. Once this is signed the cheque is usually forthcoming. You should ask your representative at that time, how long their normal delay is and what you can expect. The claims process is a combination of all the factors we have discussed in the 9 points above. A claim gets settled by the cooperation and coordination of all parties involved. Contractors have to provide estimates and get approval from the insurance company for the cost of the work. You have to provide your proof of loss inventory of items you want to be reimbursed for. Adjusters have to assess the cause of damage, if something is covered, and what you can be paid. Then the adjuster approves costs with the insurance company and gets cheques issued. The best way to get your money's worth in a claim and get the maximum amount payable is having a strong understanding of the claims process and what you are rightfully entitled to based on your insurance contract.